This is just a quick preview of something I know lots of you are going to love – a new fragrance from Benefit! I haven’t actually tried Under my Spell Noelle yet but I have a feeling I will like it, especially as it contains two of my favourite ingredients, vanilla flower and jasmine petals. Described as a ‘glamorous and exotic’ scent, you know it’s going to be sweet and heady, probably the kind of perfume you’ll reach for before a hot date or a night out with the girls. The woody floral also features cardamom and black pepper in the top note, a predominantly floral mid note including orchid and rose, and bottom notes of patchouli, black amber, vanilla and raspberry. Love the packaging too. 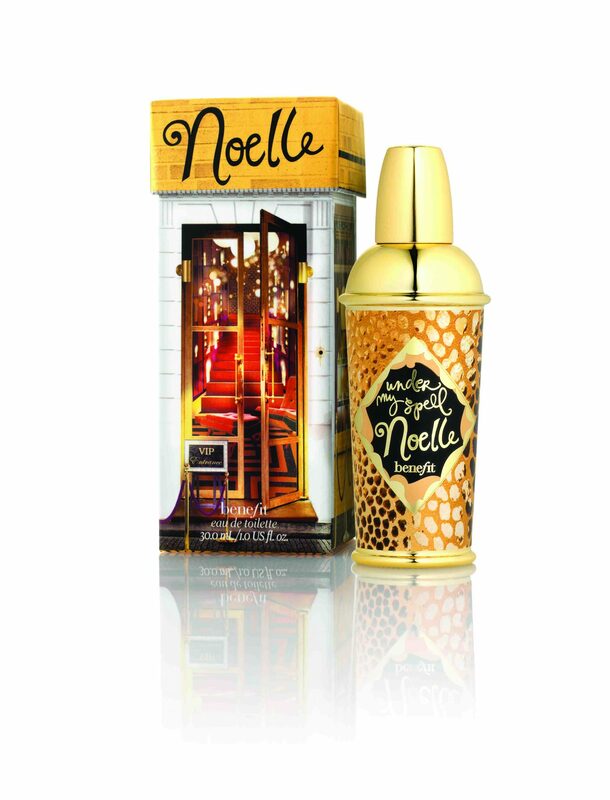 Under my Spell Noelle is available from October; it’s £29.50 for 300ml Eau de Toilette.